Consider this: With a new mini-essay appearing each day, SimanaitisSays gives about 30 times as much of my writing–and it’s free! I second M. Scales’ comment: you are dearly missed. We’d like to send you a Christmas Card from our crew here at The Going To The Sun Rally, but need an updated address. If you would, please get in contact with us! We’d love to have you follow this year’s quintessential tour of Montana – ah, the majestic west and stunning vintage cars, a perfect combo! I was wondering why your R&T e-mail was bouncing back, and why your name was not in the last issue of R&T. I’m glad all is well. While Googling your name, I found http://simanaitissays.com. This site needs more info on you: http://www.imdb.com/name/nm2431035. Will you still be writing occasional Car Articles for R&T? Noticed your name and columns were absent from R&T, googled you and found this site. No reason to con’t my subscription to R&T, which seems to have changed for the worse. Where could I find info. why R&T changed so much in content and location? Dennis, I have a technical question about one of my cars. Cannot figure out where to send it by email. I recently found out that the new Road&Track owner had let go almost the entire Road&Track staff that I have come to enjoy reading every month since 1992 including you, the amazing and extraordinaire engineering editor. There isn’t much interest with R&T now that those changes have been made as the magazine has lost most of its substance. You can actually see & feel the difference very clearly between the original R&T staff and the new one. Thanks for making R&T so enjoyable all those years. Thanks to you, Francois-Xavier, and to others for making those 33+ years so satisfying. “teaching mathematics at the College of the Virgin Islands on St. Thomas” sounds like “a real job” to me. As Mr Scales, I happily found your whereabouts by Googling your name. And I agree with François-Xavier regarding the loss of substance of R&T nowadays. Oh well… Except Egan’s column of course. Long live famous “bear torso” editors ! Once Peter leaves or retires my R&T subscription is done. Thanks for your kind comments. I hope this website will continue to provide “bear torso” comments. Delighted to find this site! Having read R&T since 1966, I looked forward to your contributions every month for those 33 years, and missed them in recent months. Thanks for sharing your wide-ranging and fascinating thoughts and explorations. Many, many thanks. And welcome! I too, read your work in Road&Track for decades. It’s great to find you here, and I’m looking forward to reading this page often. Many thanks, Keith. And welcome. Catching up on my R&T reading today (a few months behind) and noticed the “new” R&T cover . . . Not too impressed. So I checked out the new magazine, and noticed a few things missing: no PS, no Road Test Summary, and worst of all no Dennis Simanaitis. Not impressed at all. I flipped back through a few issues and noticed that you were gone a few months ago. I was an SAE member years ago starting in second year university, although in the end I went into Civil/Structural engineering, and eventually dropped my membership. But I still recall an SAE publication that suggested that our freedom in North America was in large part supported by the automobile and the mobility that it enabled. In the last two and a half decades I have worked in the heavy industrial sector in Alberta, Canada, primarily providing engineering services to oil sands upgrading, refining and petrochemical industries through several major consulting firms. Glad to see your site here. Wonder why Dennis could not have continued to write from Orange County. I shall sorely miss all the valuable technical information you have brought to R&T over the years. I shall not, however, miss R&T (save Peter Egan’s column) as I have declined to renew after having read almost every issue of the past sixty years — and have told them why, in detail; your leaving is a significant one of these. Happy retirement, and in case you’re bored you can do as I did post-retirement: return to teaching. That, too, is fulfilling and it keeps the mind active! Thanks sincerely for your kind words. Yes, I recall teaching was also satisfying. And, actually, what with researching this website’s daily mini-essays, I haven’t been bored. I’ve been learning a lot too. Have been reading R&T since 1960………Like someone else said once Peter E goes my subscription goes…………….I found your new web site by accident so I can still get my Dennis fix……………………….R&T may still be around but in name only……. How ’bout that incredible shrinking ampersand? Hope the Cyclops was saved before the takeover! Cumberford and Mott were among my all-time favorite R&T contributors. PS: There’s no more PS in the new R&T…just gonna let my subscription run out I’m afraid. Dennis – thanks for SimanaitisSays.com! It has been several years since you did a little tidbit about the students at DeLaSalle High School in Kansas City that were doing styling studies in polystyrene. The class progressed to become a stand alone 501c3 called MINDDRIVE. I would invite you to check out what the program has been up to. The students pushed to do a real car and we are now on our fourth car with two more on jack stands. We are not trying to necessarily break new ground, we are more about education than technology but we are using technology to teach confidence and education. We are bending at-risk kids to a new path that has them engaged in their education with higher expectations for themselves and a definite plus to ending up with a sustainable life down the road. We do like to try to think outside the box as we can. They have achieved some pretty cool things. Last year they drove a converted plug-in electric Lotus Exprit from San Diego to Jacksonville, Florida. This year, Friday, they start out on a trip from KC to Akron to DC in an electric plug-in Karmann Ghia. We are a shop class on steriods. We have about a mentor per student and it is working. Experiential hands-on learning taught by adults from their community…”takes a community to raise a child”. We have hit a nerve and have a lot of people interested in the upcoming trip. Check out the website “minddrive.org” and see the three minute video on the home page. In the last 4 days over 30,000 people have viewed it. I have heard that you might “on the loose”….wish you the best. I always enjoyed your work. I echo the sentiments about R&T and Dennis’s great contributions to it. It may be “business” but no goodbyes, no thanks, or appreciations, or recognition of a magazine’s past may end up being bad business. Motor Sport recognizes WB and DSJ in every issue and regularly references former editors and contributors. Why not R&T? Thanks, Dennis. Just stumbled across your website on the Interwebz! Yahoo! Enjoyed your RT work for years but being airplane nut was glad to see this new offering of all sorts of interesting gizmos. I buy/sell/trade/collect aviation memorabilia and have run across a spate of Bleriot related stuff lately. Your writing on Ms. Quimby sparked this response as a friend of mine just found a 6 ft WS working model of a Bleriot used by her classmate Shakir S Jerwan to lecture on aviation from 1911-15! All I can do is echo what everybody else has written. Having read R&T since ’76 and subscribed for more than 30 yrs, your features and columns were always the first I read, when a new issue arrived. Admittedly in strong competition with Peter Egan’s ditto. I always particularly enjoyed your intelligent views and writings about electric cars, alternative fuels and the like. Always well researched and always worth reading. Thanks for mentioning Denmark now and then. Keep enjoying your new life. I hope you still have time to enjoy your Morgan and maybe have time to go visit your ancestoral Baltic country (Lithuania?). Thanks for everything over the years and thanks for still being around in cyberspace. Like you I am also having a ball reading your writings in this little corner of cyperspace. Thanks for still keeping us informed and entertained. Hey guys, it finally happened and i’m sure everyone here knows now that Egan is retiring from R&T! Well, there goes my subscription too. Hopefully our dear friend Dennis here will recruit Peter for some writing once in a while. Can you imagine the wit such a duet would bring us !? Cyberspace will never be the same ! PS Hopefully Peter’s health will get better. You are absolutely right – great suggestion. What fun that would be now that there is no point in renewing my R&T subscription. Dennis and Peter writing together on this site would make for cyperspace haven – all agree? All agree!!! I wholeheartedly agree. Despite my having read R&T since 1958 I have grown disgusted with the concentration on high-end cars and have for the first time not renewed my subscription. I miss Peter as well as you and HNM III. The worst part of the new R&T is the trashy look to the layout. The old R&T was a classy magazine. Wow, how nice of Ronald Keil to remember Henry Manney. What a character and a beautifully twisted, but bright mind on all matters. – Maybe R&T can find new followers, but the new team has changed the magazine too much and the sense of a R&T family behind everything is lost. So good to have this site run by one of the great former contributers to the once so great mag. Have a great day out there. Many thanks, Jeff, for your kind words. And welcome! Is this the only place on the Web where we can be reading things from you? I thought I’d heard that you had started a Blog. Am searching for ways to maintain the integrity of info from R&T without having to read the infernal incarnation of that once great mag. A Dennis blog would be wonderful (also one from Peter Egan!). Am looking forward to reading more from you. It has been too many months since R&T decided to do away with the technical side of the magazine and try to emulate Car & Driver. I dropped my C&D subscription when they got real stupid and my R&T subscription will soon follow. I wrote and asked about your missing section but never heard anything; I’ve always wondered why magazines never have a Good-By to long time contributors. To not say thank you is rude. I have a lot of reading to catch up on, your articles are pleasure that I’ve missed. Welcome, Paul. And thank you. Dennis. I miss you in R&T. It’s not the same. PS. We met in Phoenix at the first GP. You stopped me because I was wearing a Mini Moke T shirt and asked if I owned one. Gladly no. And you said that you restored one. I remember laughing and said ” who would want to etc. You laughed. I also got to meet Phil Hill at this event. Nice to see your still active. Say Hello if you want. Dennis and Peter Egan on the same page? In current parlance: BRILLIANT!!!! Road & Track is dead. Long live R&T. My subscription (since ’63) runs out in a year. I will cancel it sooner than that. I cannot bear to read this thing which is masquerading as Road & Track any longer. Eagerly await the debut of The Dennis and Peter Show! I have been reading R&T since I was 12 — nearly 60 years — most of that time as a subscriber. I have come of an age with Messrs Egan and Simanaitis, and had a brief telephone acquaintance with Dennis when he was at SAE and I was at Caterpillar. Simanaitis has left the stage, and Peter Egan has headed for the wings. 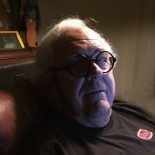 While Larry Webster, Sam Smith and the newly minted columnist Chis Chilton seek to fill the gap and address the current readership, I find I am more of a throwback to Henry N. Manney than a contemporary reader, and the new R&T world is not much my world. Thus as Mr. Egan, the lifelong friend I’ve never met and with whom I have so much in common, winds down his remarkable career, I will also fade away — as will my subscription. Glad I found your website! I subscribed to Road & Track for 30 years, but let my subscription lapse a couple years ago. Started my subscription again and just received my first issue. To my horror, both you and Peter Egan were gone! I am not renewing again! Your and Peter’s articles were the first pages I turned to. I also remember reading about Dottie’s Fiat 124 Coupe, of which I owned several! Best wishes to you, sir! all the engineers like me with some blood on the veins for automobiles should feel proud of your mission with R&T for so many years. I learned a lot and will keep visiting your blog to learn more. I hope you enjoy the website. I’m having a ball doing it. Is Diesel Used on Lemans the Same as pump’s? Last I’ve heard, Peter was retired from writing for CycleWorld. I’ve just run into your website, having missed you from R&T a couple of years now. I’m glad I will be able to keep reading your essays here. Cheers from Chile, from a fellow Engineer and car enthusiast! Read (and reposted in my linkedin group) your excellent article about automotive EDRs in 2010 Road and Track. The article sure is more authoritative, now that I examined your bio in linkedin…. Do you have any updates on the statements made in R&T, that auto EDRs (at the time) were merely devices to (try to… my comment) debug air-bag problems, not a general purpose black-box, event data recorder that is used in airplanes, trucks, trains, etc…. ? So it can’t be used to solve automotive problems (in general), only (maybe) air-bag problems? That is a significant deficiency. Any hints, even, that there are improvements upcoming, would be GREAT! I have been a big fan of event data recorders (‘trace tables’) etc, in the computer field (yes, see my linkedin story and group….). Thanks, and good luck, Dennis! Thank you for writing about Maria Montessori! And, wishing you’d write more! A previous Montessori teacher, myself, I have a conviction that she created a sound base from where to start when relating with children in the classroom and at home. There is a lot going on in the Montessori world; are you following? I confess, now that my two daughters are er… no longer school age, I haven’t kept up. However, we all continue to be believers in the educational brilliance of Maria Montessori. The best source of Brooklands silencer information I’ve seen is the article cited in my piece. It seems to have been developed following the mid-1920s noise complaint. Good luck in researching it. Just wanted to say hello and thanks for your literary input over the years, especially noting your article ‘Italian Lake District’ in the May 1989 issue of Road & Track magazine. Thumbing through this issue I’ve kept since childhood reminds me how beautiful Italy is and how much there is to see, learn, and experience. Thanks. I have conversed with you several times over the years on Morgans. I am writing a letter to Automobile magazine on this months article by Jamie Kitman on the “new +8”. I am suggesting they hire a real sports car driver that knows what he is talking about. I did not know you are no longer with R&T. Their loss. PS, my wife is the editor of our Morganotes. With your permission we have quoted you in the past. Of course, you and your wife are encourged to redirect my musings. Yes, it has been more than two years since Hearst “moved the brand” to Ann Arbor–and left the staff behind. Delighted to stumble across your blog; cars, planes, houses, mysteries and music and probably more interests we share. Thanks for all the work it must be. I’m hoping that somewhere in there I’ll find musings on HNM III. I find Dennis’s truly eclectic interest in the world and life in general most inspiring, I’ve long gotten over the changes at R&T and find thus venue for his amazing depth & breadth of knowledge utterly fascinating. From one day to the next you just never know what the topic will be! My brain is swelling up with all the new info! Thanks sincerely for your kind words. I confess that often I don’t know the topic either.